Financial technology, or fintech, uses digital technology to speed up and cut the costs of administrative and payment processes in banks and financial services. Think Paypal but with much wider, global applications. Fintech is seen as a revolution or ‘disrupter’ in financial services, offering businesses and the public the chance to enjoy banking at speed without the fees. ‘Block chain’ is the software used by fintech. The word was first coined in 2008 when used with the bitcoin. A block chain is able to give the full history of payments and transactions, a sort of digital ledger to record transactions which, importantly, can’t be altered. Fintech is a form of processing payments that is now worldwide. The process has been the preserve typically of banks, but many other financial areas can benefit from lower cost fintech. These include: investment management, small businesses payment processes, foreign exchange, business funding, and more. Fintech is seen as good news for small businesses, and the ordinary consumer, with a bank account and a smart phone, benefits too. For young businesses, borrowers, and even students, loan risk assessment using fintech is part of a revolution. For the first time block chain software can pull out information at speed from the internet. With this information. an applicant, for example, is likely to be assessed for a mortgage quickly and effectively. The process promises to be streets ahead of visiting a traditional loan officer in a bank. Thanks to software technology, which is developing in great bounds, the traditional hum drum tasks of banking are more and more under siege by small hi-tech firms at the cutting edge of digital. Fintech cuts down expense and increases the speed of a trillion transactions anywhere on earth. Many banks and insurance companies see the advantages of block chain and want to use the skills of fintech, link with them in ventures and buy them too. All good news for fintech firms. Remember Silicon Valley? Well, it looks as if the fintech version is coming everyone’s way. A 2015 survey of more than 10,000 digitally active consumers suggests that adoption rates of fintech products could double in the next 12 months. The International Trade Administration in a recent report said that global fintech activity increased substantially in the last couple of years but remains significantly concentrated in the United States. 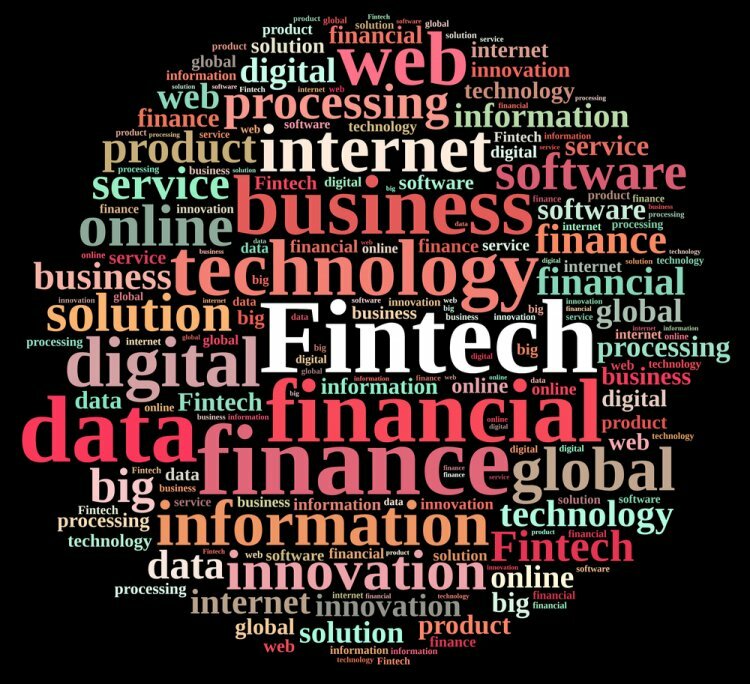 Goldman Sachs forecasts that $660bn could move from traditional financial services to fintech payments, crowd funding, wealth management and loans. Who are the winners of fintech? There are many quoted and unquoted fintech companies around the world, notably in New York and Hong Kong. London is a fintech hub where AIM is a popular listed jumping off point for fintech firms. Pay Safe is in the FTSE 250. Earthport and Craneware are also big players as is Proactis and Eagle Eye. Assessing a fintech stock for future earnings per share and takeover potential is not so easy. Remember that 90% of start-ups fail and plenty of fintech companies go bust. Fintech is full of hard working innovative, young, mostly male, entrepreneurs. The financial details about these start-ups are often thin. Many of the founders don’t know what their company will look like in two years time. Those players with a new stock market listing are more than usually susceptible to rumour. There is the ever present possibility of takeover. What affects fintech share prices? Good news, such as a merger or good acquisition, lifts shares to a great extent than less volatile sectors. Similarly, bad news, such as a CEO or a key person resignation, the failure of a joint venture or difficulties with a particular contract can make a share price dip. What banks share prices are doing should become more relevant to quoted fintech companies' share price movements. What can make one fintech company buck the trend? A company share price can rise if it announces good results, or if it makes what seems an astute purchase, takeover or merger or deal with for example, a bank. It can be a flavour of the month or year stock with an impressive team heading the venture. It's a much more glamorous sector than for many and it has plenty of charismatic founding executives. What can make a fintech company's share price fall? Fintech is a volatile sector with not that many players quoted yet, so expect a bumpy ride. A plummeting share price could be based on worries about successful future funding, high cost of data, losing important business, making a big loss., losing market credibility. What should I look out for in a company report? An annual report is not going to be as helpful for an investor in fintech compared with a more establshed sector. However, alarm bells should ring if debt climbs or pre-tax profits drop. It won't harm to check a company's EBITDA - earnings before interest, tax, depreciation and amortisation. Looking at company debt is crucial: when was it last funded? Does it need to raise new funds? Can it raise more funds? An example of successful funding is Revolut which offers multiple cards for use in 25 currencies with transfers at interbank rates, so that a business can track its employee expenses. Revolut was set up in July 2015 and has raised $20m through venture funds such as Balderton Capital, Ribbit Capital and Seedcamp. Tech companies generally find it hardest to raise their initial funding while finding subsequent fundings a bit easier. Overall a significant percentage of tech firms drop out through lack of sufficient funding, or are taken over. Look very carefully at all aspects of a quoted fintech firm, including its accounts. It’s a high risk sector. See below the problems of the AIM fintech firm Monitise. Be aware of signs that an enterprise can’t keep up with software innovation and also the relentless competition from other fintech businesses. Look out for a good sign: a prospective price/earnings ratio. The risks of fintech investment is well illustrated by the AIM fintech quoted Monitise. Its share price shot up in June when big US financial services firm Fiserv (NASDAQ FISV) bought the company for £70m. However, the firm had a £2bn price tag in 2014. Set up in 2003, Monitise had been trying to beat off competition from tech giants such as Apple in the payments space. It made a loss of £7.5m for the six months to end December 2016 and revenues had slipped over 15% to £33.4m. Another FX-orientated firm is one of the biggest and most successful start-ups, TransferWise. It has created a ‘borderless account’ which is not constrained by country or currencies. It is a favourite to come to the market, as is Go Cardless and Astropay. TravelWise CEO Taavet Hinrikus has commented: “Business banking is notoriously expensive and difficult to set up and manage, even alternatives like PayPal are expensive for small businesses. “It’s even worse when you’re doing business internationally: there are high fees and exchange rate mark-ups every time that a business is paid by a client or customer abroad, or when they organise their funds across country borders. Although Fintech’s core is payment processes, many start-ups are about funding enterprises. They are significant because new funding helps finance fintech companies, and funding is part of the move to break down the costs of raising finance, banking and business generally. One of the goals is being to make financial intermediaries history. eToro enables an investor follow a top trader and automatically copies the trades they make. Nutmeg - investment management services for the consumer. Algomi – specialises in social network for the bond market. Addepar - an integrated financial software platform used by wealth advisors and family offices. Commonbond – a lender which refinances graduate and undergraduate student loans. London broker Redburn brought out in June a 20-page study on fintech and banks. It concluded, “The breadth of technology challenges facing the banking and financial services industry is immense.